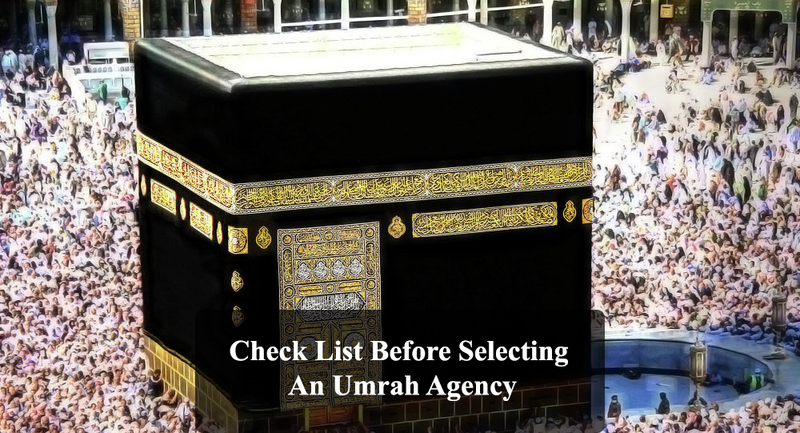 If you planning to go for an Umrah trip, it is more likely that you will be using the services of an Umrah agency so that the travel agent can arrange everything for you and save you from the inconvenience of gathering the complete information regarding visa processing procedure and then following the whole procedure, arranging and submitting the necessary documents and then keep on checking whether the visa has been stamped or not, and finally, reserving the airline tickets once the visa is stamped. Surely, a good Umrah agency can save you from all this hard work and arrange everything for you. All you need to do is to select the particular Umrah package offered by the travel agency and pay the necessary amount along with the necessary documents and that’s it. Rest will be the headache of the Umrah agency and they will take care of the rest. Surely, good Umrah service providers do a lot of work for their customers but the question is how to choose the best Umrah agency? Following tips will surely help you in finding the best Umrah service provider. This is one of the best methods of inquiring about a particular Umrah agency and by getting the feedback from honest and trusted people known to you, it will become more easy for you to make a better decision regarding the choice of an Umrah service provider. Ask your relatives, friends, colleagues, neighbours and whoever you know about the best Umrah agency available, get benefit from their experience, let them share their experience with you so that you can get maximum benefit from the experience of other people. Try to check and compare as many Umrah Package Deals as possible so that you can become aware of what various Umrah service providers are offering and then get maximum information about the companies offering the best Umrah packages. In modern time, the internet is the best and quickest source of all sorts of information. Surf the web and try to get maximum information with respect to the various Umrah agencies available in your area. Also, you can find reviews of various people who have already used the services of a particular Umrah agency. Try to read as many reviews as possible so that you can better equip with the information necessary to make a better decision regarding the choice of the Umrah service provider. If properly and efficiently used, the internet is the single source which can be proved to be enough for making a very good decision as far as choosing the Umrah agency is concerned. Try to get the information about how long an Umrah agency is operating. As a general rule, you can safely assume that if a company is operating for a very long time, it can be more easily trusted as compared to the one which has started the operations recently. Cheapumrahpackages.org offers best and Cheap January Umrah Deals from the United Kingdom which makes your sacred journey memorable.